When the "1st Wave" of 2019 NFL Free Agency began this past Monday for the New Orleans Saints, one of the top priorities for the team was expected to be that they'd seek to target players who could start within the interior of their defensive line during the anticipated absences of starting 3-Technique defensive tackle Sheldon Rankins and his back-up, David Onyemata; as well as the likely departure of starting nose tackle Tyeler Davison. By the time that yesterday had ended, New Orleans had already managed to not only "re-load" or upgrade both of those inside positions, but had also further strengthened the potential future of their defense by signing relatively young players whom both are still just in their mid 20's. As we noted the other day: former New England Patriots star and starting nose tackle Malcom Brown was signed on Wednesday as the likely 'replacement' for Davison, whom the Saints are not expected to bring back after 4 NFL seasons of service with the franchise. 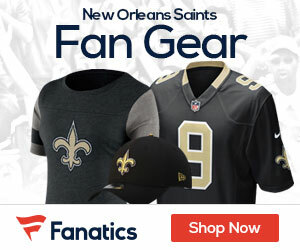 But then yesterday morning, Who Dat fans received even better news when it was announced that the Black and Gold had signed former New York Giants defensive lineman Mario Edwards — who will now become the player who it's expected will "fill in" at the 3-Technique DT spot during the expected absences of Rankins and Onyemata for at least the first month of next season. The 25-year old Edwards began his career originally with the Oakland Raiders, who selected the former Florida State University star with the 35th overall selection during the 2nd Round of the 2015 NFL Draft. He tallied 5 and a half sacks over 30 games with Oakland before catching on with the Giants last season, where he collected two sacks in a reserve back-up role. Edwards can play both inside at defensive tackle as well as rush the passer on the outside edge at defensive end; but has mostly played within the interior of the line as he did last season. He will be expected to help fill the void during the anticipated absences of Rankins, who's likely to be out on the physically unable to perform list until October as he recovers from surgery from the torn Achilles tendon injury that he suffered during the Playoffs; and Onyemata, who faces a possible suspension from the League after a January arrest for possession of marijuana. But the signing of Edwards yesterday now also means that within just the matter of the past few days, the Saints organization now appears to have successfully accomplished one of their critically important Off-Season goals ahead of the upcoming 2019 NFL Season later on this year. Talk about an "inside job". The addition of Edwards not only provides "insurance" to cover the Saints while Rankins is out, but also gives them some much-needed depth at that spot as well. Much like Brown, who was also a defensive superstar since his high school days, Edwards too has enjoyed a great degree of success since the early portion of his playing career. As a senior at Prosper High School in Denton, Texas (suburban Dallas) back in 2011, Edwards recorded 72 tackles and 11 sacks and was named the USA Today High School Defensive Player of the Year. Additionally, Edwards earned High School All-American recognition from Parade Magazine, Sports Illustrated, and ESPN. He was then offered a scholarship to attend Florida State, where Edwards became a key performer for the Seminoles immediately as a freshman during the 2012 season. Initially projected to become a redshirt candidate and sit out his first season while at Tallahassee, Edwards played in 11 games and made his very first college career start in the 2012 ACC Championship Game. The following season in 2013 as a sophomore, Edwards recorded 34 tackles, 3.5 sacks and an interception; as the Seminoles went on to eventually win the 2014 BCS National Championship over Auburn. But it was during the 2014 season as a junior that Edwards really came on strong and made himself attractive to NFL scouts, recording 44 tackles and 3.0 sacks while on his way to being named a 1st team All-ACC performer. After that season, Edwards declared for the 2015 NFL Draft. Just a few short years later, Edwards comes to New Orleans and along with the 25-year old Brown, now gives the Saints two solid additions along the interior of their D-Line. The signings of both Brown and Edwards should give the defensive coaching staff an opportunity to successfully compensate for the time that's expected to be missed by Rankins and Onyemata at the 3-Technique pass-rushing position, and to also permanently replace Davison at the nose tackle spot. But perhaps more importantly: both Brown and Edwards are still relatively "young" men — which not only bodes well for next season as the Black and Gold makes another attempt at winning the Super Bowl, but for their long-term plans into the future as well.